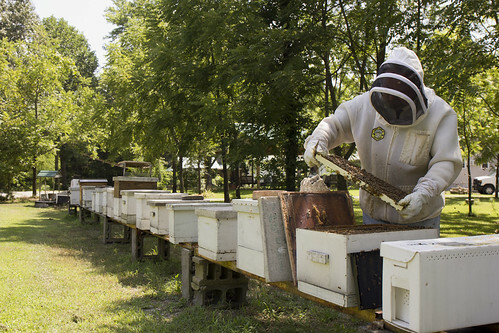 Chuck Collins weaves his way among a row of beehives at his apiary behind the Bee Barn on Clinton Road. He removes the lid from one and lifts a frame from the box, revealing the intricate honeycomb pattern constructed by this complex colony. The worker bees continue their busy activity in spite of Chuck. A buzz of activity swirls about his veiled face, the humming sound becoming completely immersive. Chuck’s on the hunt for a queen, and this time, he finds one right away. Chuck is fascinated by the life of bees, a passion that developed from the hobby of his late father in law, Richard Broyles. “He started keeping bees in the 1990s,” says Chuck. “He had been thinking about having them to pollinate his garden.” After talking it over with his wife Annie, who was a teacher, she discovered a swarm of honeybees outside her classroom the very next day. They felt it was divine assistance. Richard became a prolific beekeeper with more than 100 colonies. He raised queens, provided pollination services, and produced honey. Annie was in charge of the retail side of the beekeeping endeavor and sold honey and beeswax products at the local farmers’ market, mostly to pay for Richard's beekeeping habit. Richard went on to become an officer in the Lake Barkley Beekeepers Association and the Kentucky State Beekeepers Association. In that, the Bee Barn was born in Richard’s old garage and workshop on Clinton Road. 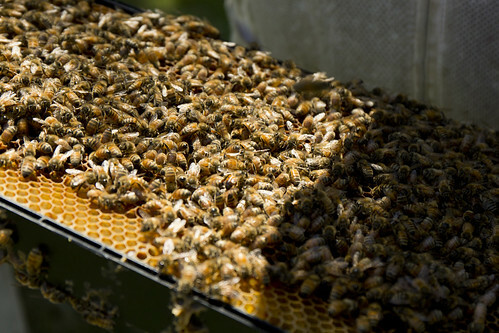 “Every year, we’ll sell up to 1500 colonies of bees,” says Chuck. 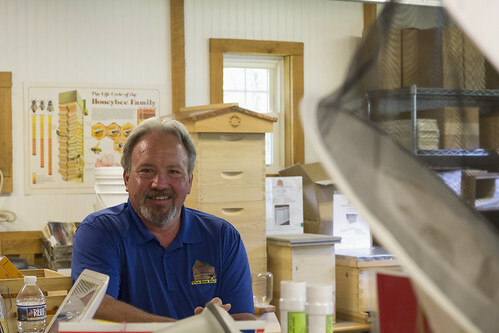 “We also have a loyal following of folks who buy our honey.” Chuck also sells everything one needs to keep bees, from beehives to suits to queen bees—and he finds the demand for supplies increasing every year. For many, the challenges are worth it. 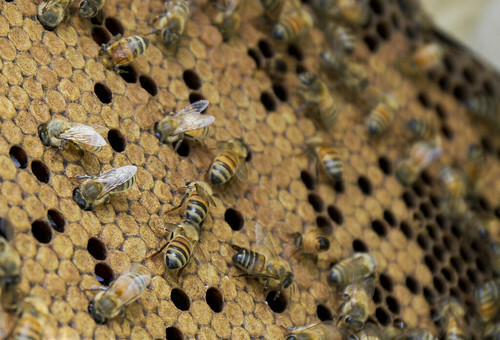 Honeybees are among the most effective pollinators in the world. They are also some of the most fascinating creatures to observe. 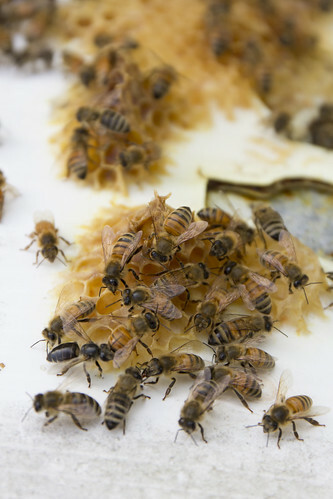 The colonies are complex with worker bees taking on different roles as they age. Communication is intricate, effective, and nearly non-stop as they got about their collective, ever-changing activity of the day. Their relationship is one of community with the health of the colony and queen of utmost importance. Their importance to our planet is undeniable and their intelligence still not completely understood. Satisfied with the health of the colony and the queen, Chuck lowers the frame back into the hive. His mind is abuzz with hundreds of facts about bees as he thinks about how to use that information to make these colonies grow and thrive. 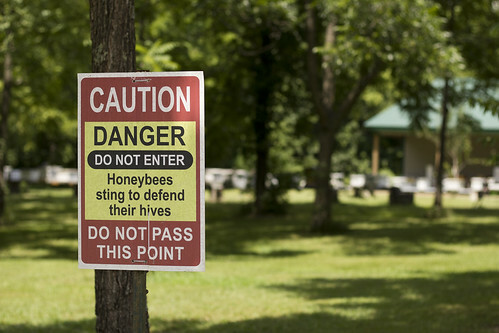 From this little patch of land in McCracken County, bees will be sent to find new homes, create new colonies, and perpetuate the cycle of life we all depend on.